In this article I looked at another web site that submitted for review from a “Keywords and Content” focus. You’ll learn about; Doing Keyword Research to Find Related Queries and Questions; Adding Helpful Information to Your Web Site, Announcing Helpful Information Via Your Social Media Venues, Looking for Guest Writing Opportunities, and Developing Video Content. Are you going to Pubcon in Las Vegas next week? I’ll be speaking on LinkedIn Marketing and Organic Visibility. Learn strategies for marketing on LinkedIn and how to utilize LinkedIn as a successful paid and organic traffic channel. 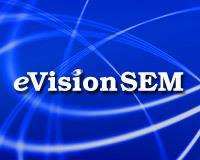 Happy 14th Birthday Google … and eVision!